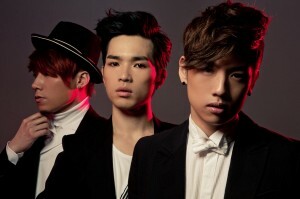 Hip-hop trio Phantom recently debuted with full-length album Phantom City to the happiness of waiting fans. While all three members–Kiggen, Sanchez, and Hanhae–are undoubtedly talented, the focus of this article is none other than Hanhae. 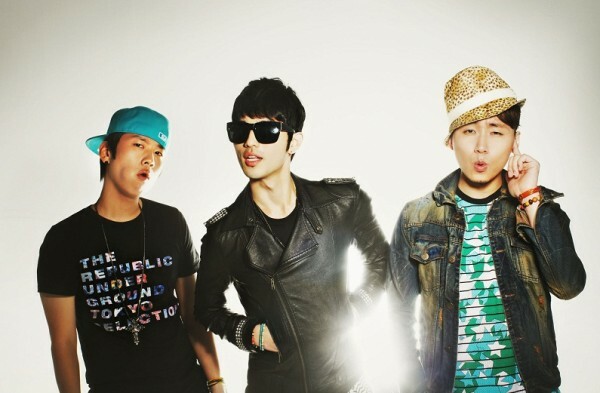 Born in 1990, he’s the maknae of the group, but that doesn’t mean he hasn’t had his hand in his own share of music. A former Block B trainee at Stardom Entertainment, Hanhae was to be the main vocalist of the idol group but didn’t quite make it til the end. Here’s we’ll be looking at the music Hanhae has put out, focusing on his 2011 mixtape, Eargasm, even though he has featured in the work of other artists such as Bizniz and Block B’s Zico. Though his mixtape is from 2011, since he has finally made his long-awaited debut, it seemed fitting to give it some attention once more. As always, there is the possibility that profanity or suggestive content are ahead. Please read and listen with caution. Sampling from “Wish” by Suga Daddy, the music very rhythmic, almost the type you’d find at a classy jazz bar. And the lyrics don’t disappoint either. Full of uncertainty about the path of music, even though it’s his passion, and comparisons with the need to have the latest technology and its impact on lives, it’s honestly a treat to listen to. The little mentions of Korean culture and relevant news–Shin Jung-hwan and gambling, anyone?–are similarly welcome. This song is also great to demonstrate Hanhae’s strong singing and rapping skills. “Nilriri” gets me a bit excited considering my Indian roots. You’ll hear why. The song samples from “So Good” by Tina Sugandh featuring Fat Joe, and the beginning alone incites me to begin dancing in a poor attempt at Indian Bhangra. The lyrics are full of confidence as Hanhae tells of his own ability, taking time to call out others on how they treat music while adding a bit of commentary of his own life. An accompanying music video can be found here. “Going to Take You with Me” is next. With a simple beat, this song is great for letting vocal expression shine. There are wonderful changes in pitch and expressions of a bit of sincerity in the lyrics, a side that can be missing in favor of social commentary or sarcasm. The heavy beat lets you know it’s serious business, and it’s up to nothing but his voice to make the song work in that R&B style. The introduction of brass for the chorus midway through the song kicks it up a notch, adding bits of excitement along with some symbol action. Those little dips and unexpected technique as he croons are honestly really attractive and make the song a good listen. This song samples from “Hostile Gospel Pt. 1 (Deliver Us)” by Talib Kweli. The gospel music starts the song off to give way to Hanhae’s rapping which gives more of an autobiography. The rapping pairs well with the chosen gospel music as it creates an environment that seems to praise his words, almost the harking the arrival of the next good rapper, which is appropriate for the lyrics. Personally, Hanhae’s mixtape is one my favorites. His style and skills in both rapping and singing sell it for me, as do his choices in music from which to sample. He has quite the bit of variety, and he manages to meld them well with significant lyrics to make his own music. The mixtape is truly an eargasm for the listener, and that’s not much of a surprise. Phantom already has put out good music, and I’m looking forward to what they do next. The full playlist can be found on YouTube, and for interested parties, the download link for the Eargasm can be found in any of the videos in that playlist. Some songs also feature Block B’s Zico and former Stardom trainee, now part of BoM, Mino. For more on Hanhae’s discography, this is the place to be. So Seoulmates, have any favorites from my choices from Eargasm or from listening to the full mixtape? How about from Hanhae’s discography prior to Phantom? Leave a comment with your opinion!